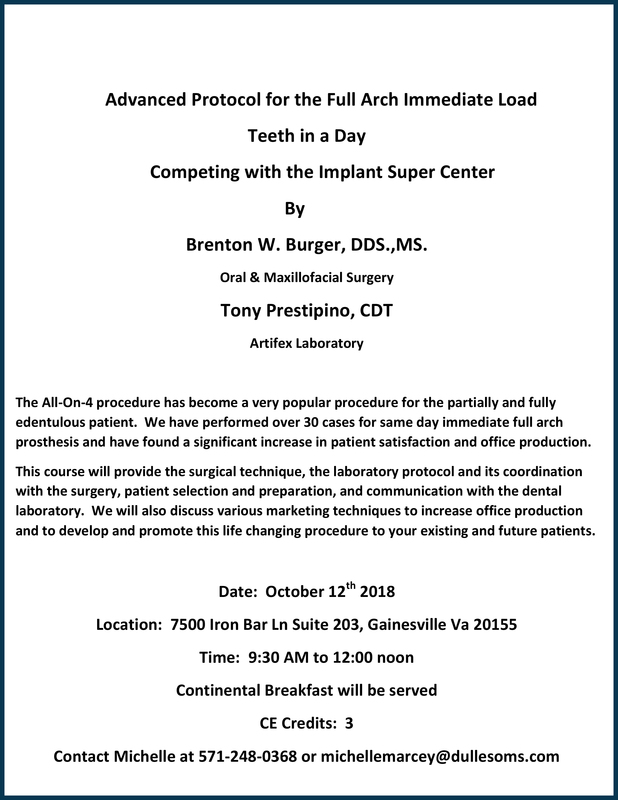 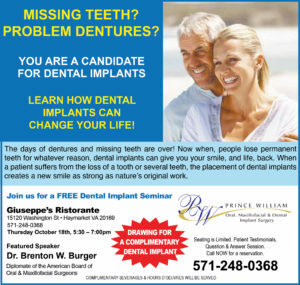 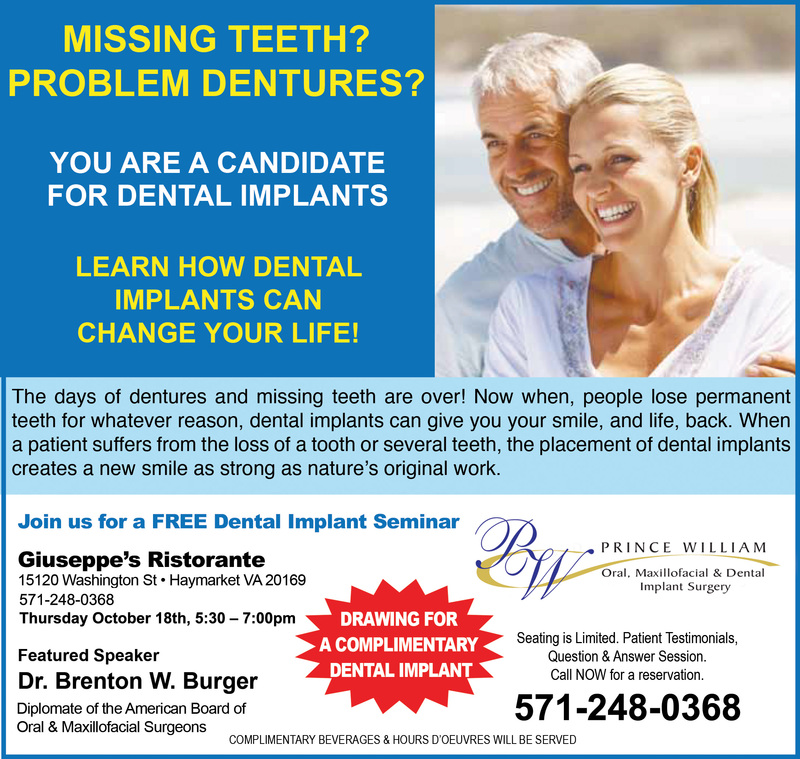 Featured Speaker: Brenton W. Burger, DDS.,MS. 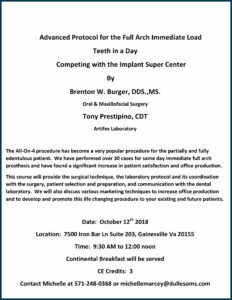 Featured Speaker: Dr. Brenton Burger, D.D.S., M.S. 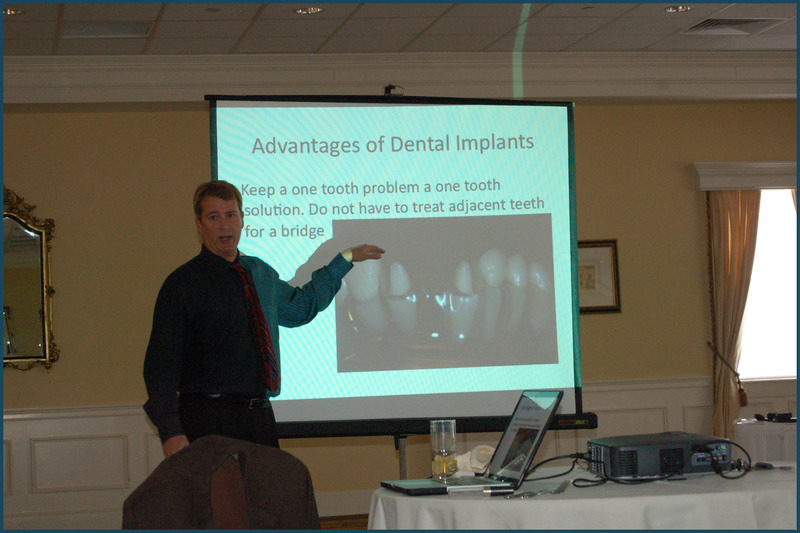 Please contact us at info@dullesoms.com or 571-248-0368 to learn more about upcoming seminars, events and more.